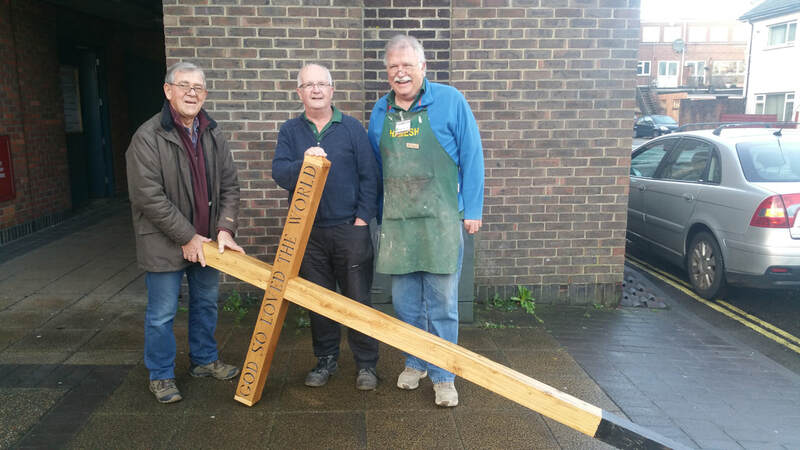 George undertook to replace the old cross at Woodmancote church representing the shed on behalf of Westbourne church. 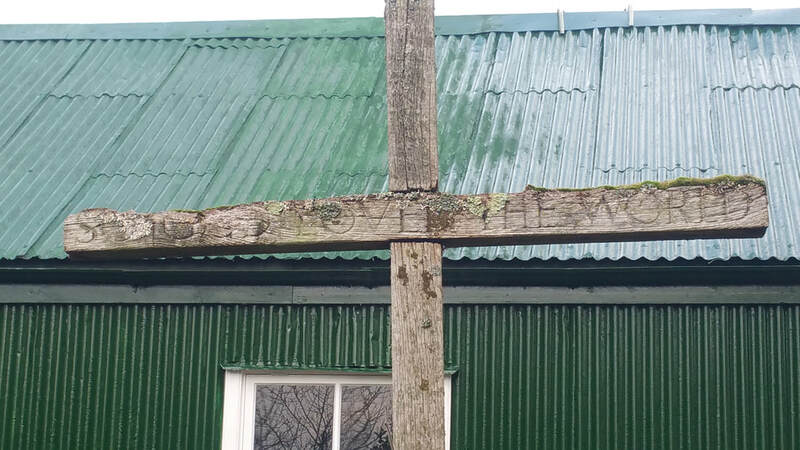 The church was undergoing a restoration program in time for Christmas. 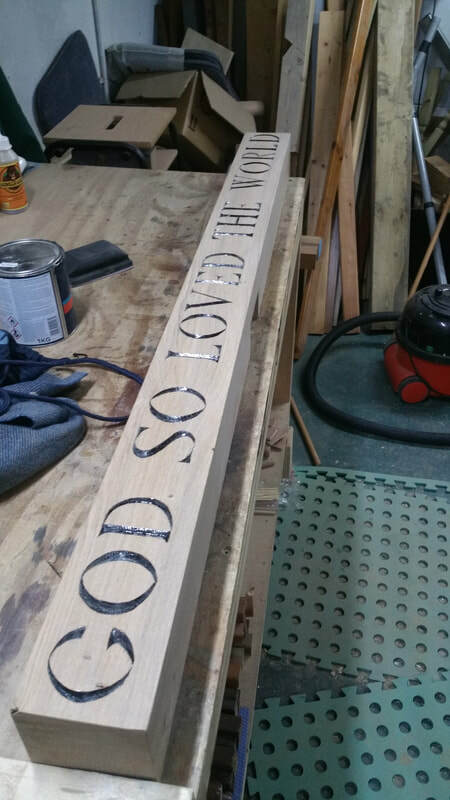 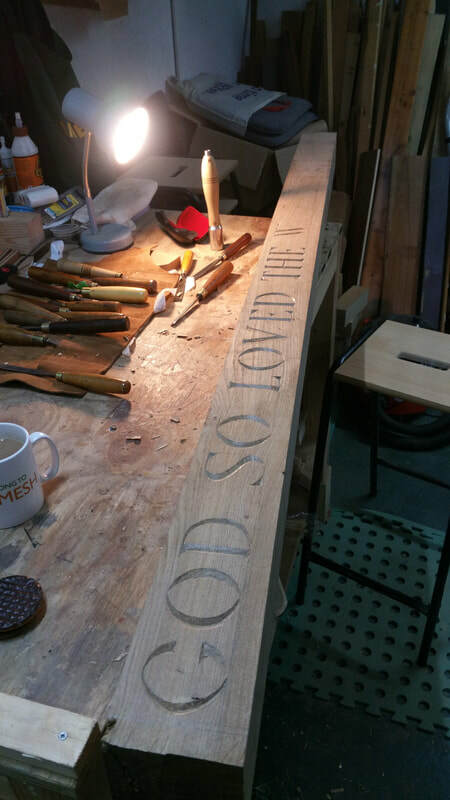 This meant sourcing the timber, oak, carving the inscription and assembling the cross and treating the wood ready for installation. 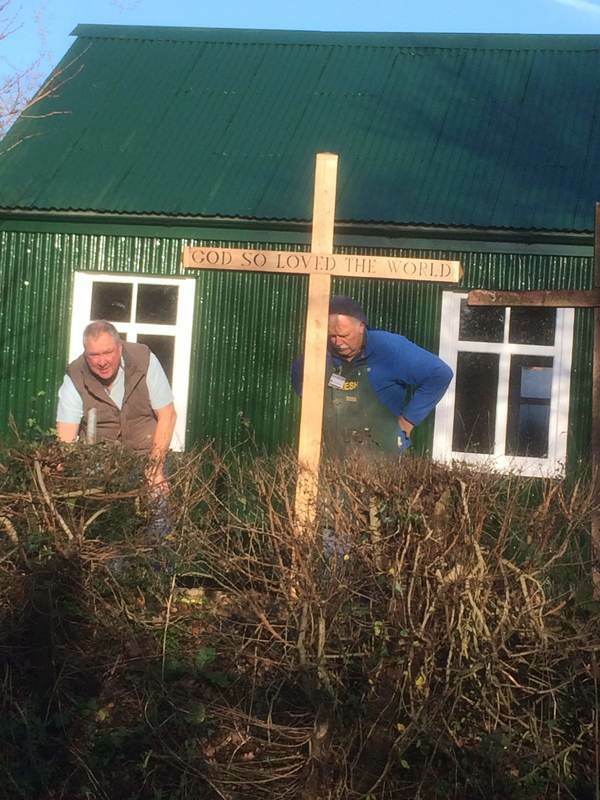 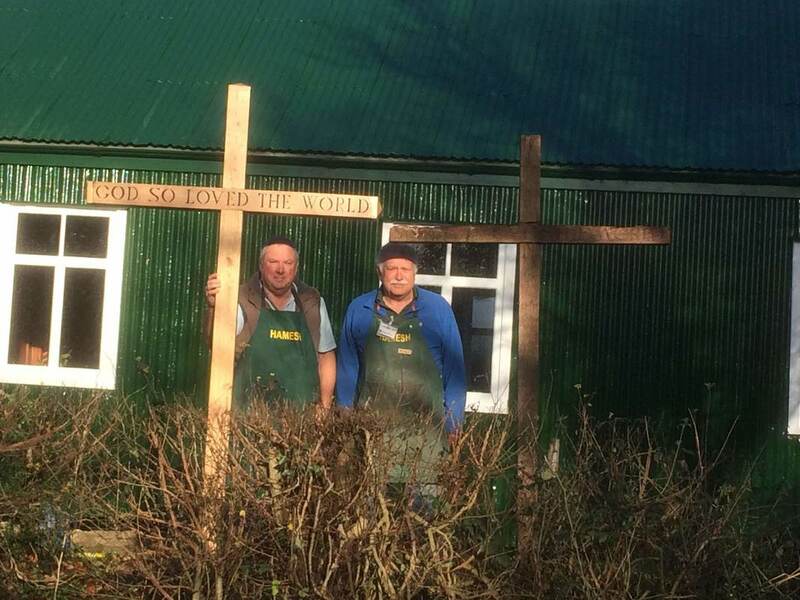 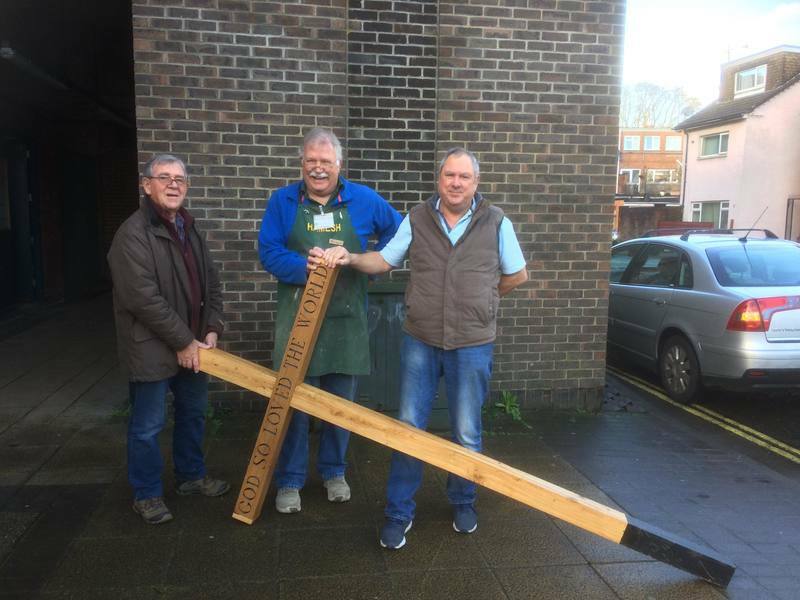 Stewart and Terry gave him a hand to erect the new cross and remove the old one. 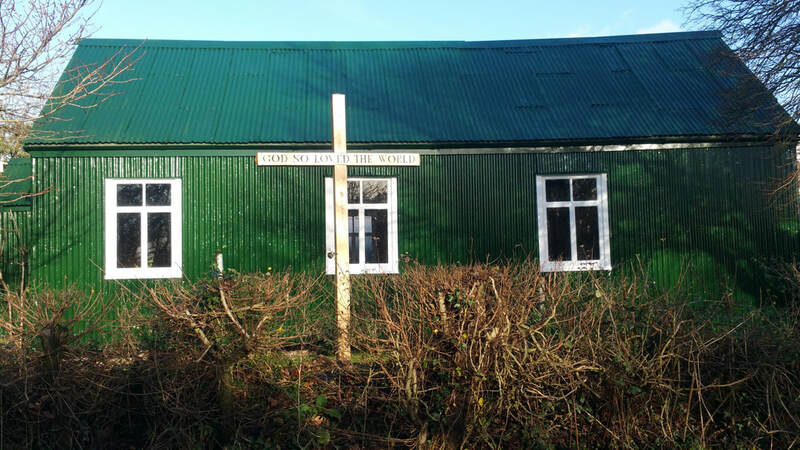 This was completed in the week before Xmas ready for the Christmas services. 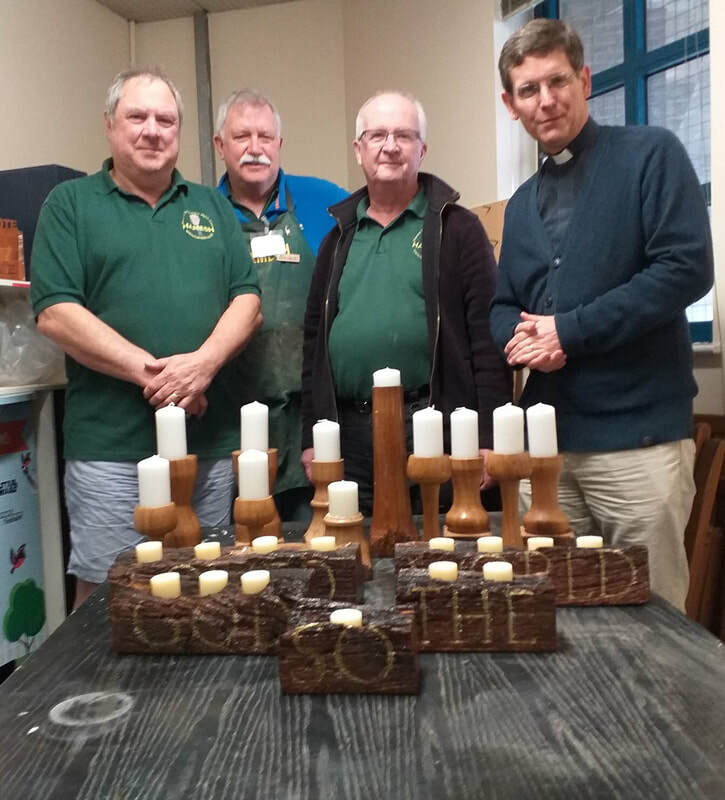 These are the selection of candlesticks and table centres made by Stewart, Terry and George from the timber of the old cross for sale by the church being handed over to Revd Andrew Doye vicar of Westbourne and Woodmancote churches.